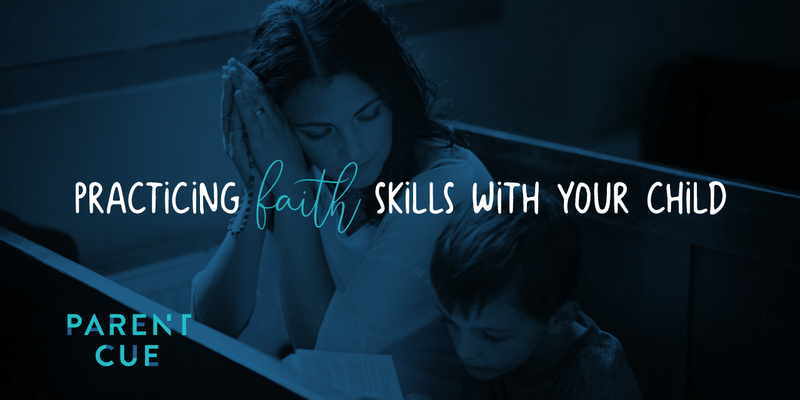 If you’re a parent with a faith of your own, chances are it’s important to you to instill solid, character-building, faith-growing practices in the daily habits of your children. If you’re a parent, and you’re anything like me, thinking about being responsible for the development of someone else’s faith feels like immense pressure—like rhino-on-my-chest level pressure. Meanwhile, I’m over here multitasking my time with God, with drying my hair, brushing my teeth, shaving my armpits, all while wiping down the bathroom sink. And I’m supposed to teach my daughters how to create healthy spiritual disciplines? Send help. SOS. Somebody put my kids on your church prayer list! But let me give you (us) some hope—just thinking about teaching our kids spiritual disciplines is a huge step in the right direction. Our thoughts steer our actions, and our actions are required when it comes to parenting with intentionality. That being said . . . just thinking about anything doesn’t really accomplish much (as in it accomplishes nothing). Unfortunately, daydreaming about hours spent on a treadmill will not actually do a thing to work off the Boston Crème donuts I indulged in this morning. Sigh. Like with all parenting principles, teaching your kids how to pursue a relationship with their heavenly Father takes action, consistency, and patience. HEAR: Listen to God’s Word. When we read the Bible and listen to what God has to tell us through His word, we learn we can trust God no matter what. PRAY: Dialogue with God. Through prayer we connect with God. We show gratitude, say we’re sorry, and express our feelings to God. TALK: Articulate your faith. When we talk about our faith, we learn more about God and can tell others about Jesus. LIVE: Worship with your life. Worshipping God is more than just singing songs. Worship is about living life in a way that honors God. 1. IT’S NEVER TOO LATE TO START. 8-years-old. 18-years-old. It doesn’t matter. God has a way of gracefully filling in the gaps. 2. IT’S NEVER TOO EARLY TO START. Taking your baby to church (after your doctor gives everyone the medical “all clear”) is one way to establish that church (therefore, God) is safe and fun. 3. YOU DON’T HAVE TO HAVE ALL THE ANSWERS. There are tons available—apps, blogs, and books. Last year, a team of us got together to write a devotional for elementary school students that talks all about faith. It’s called Where in the World, and it’s an interactive journal that walks students through the life of Paul. I wouldn’t be mad if you checked it out.